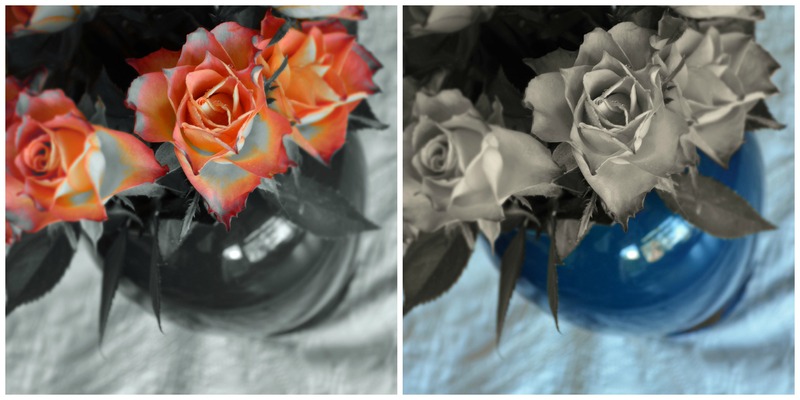 When I get the chance and find a good subject around the house, I like to experiment with still life. 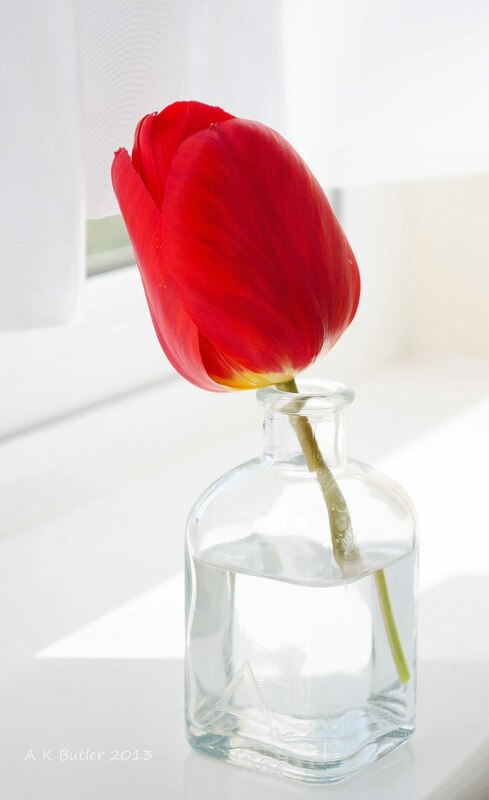 This is what I did with this tulip, the single tulip that grew in our front garden and which my daughter then tore… for me (had to love her for that). 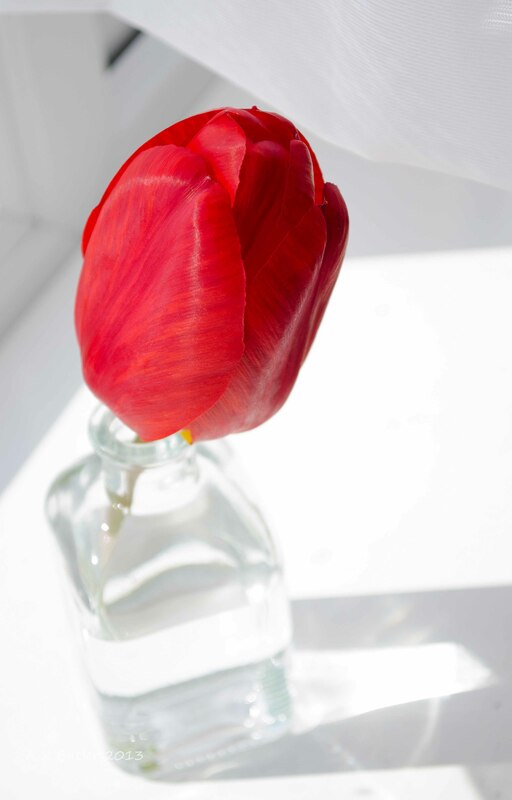 I wanted to emphasise the beautiful, deep red colour of its petals, so I put the flower in a little glass container (left over from an infusion sticks set), next to a window with white net curtain on (good for diffusing the light), and experimented with positioning, angles. 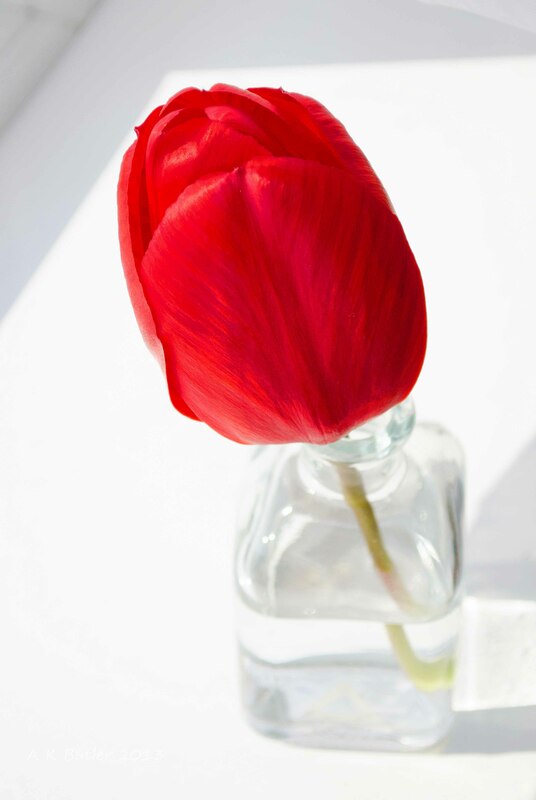 I deliberately overexposed shots, also to bring out the red…, but used spot metering to expose correctly for the tulip’s head. Hope you like the results. Which one do you consider best? Comments are welcome.